She's a writer, a mother and an unabashed, unashamed runaholic. Hi, I am Sasha Brown-Worsham, a writer, a mother and an unabashed, unashamed runaholic. It all started about seven years ago. I was looking for a way to lose a few pounds and was getting sick of the elliptical and the recumbent bike. I hopped on the treadmill, set it to 6.0 with a 15 percent incline and I ran. And ran. In middle school, I was a sprinter and between the shin splints, stress fractures, twisted ankles and multitude of bruises, I never really loved running. Until I was 25. It was like a light came on and a new love was born. I ran, sometimes twice a day. I came off the treadmill and learned the routes around my neighborhood that allowed me access to both hills and straightaways for training. I lost 15 pounds (and kept it off without dieting) and I ran my first 5k in 23:19. An obsession was born. Sometimes I ran upwards of 50 miles a week, twice a day, late at night and early in the morning. A day without a run was like a day without a shower. I could do it, but I felt kind of icky if I did. Like most obsessions and addictions, running comes with a price. I am often injured, sometimes to the point of being unable to walk. I am sore. I am tired a lot. And most of all, I am hard-pressed to find the time, especially in these days since my kids were born. My daughter, Sam, is 2.5 and my son, Alan, will be one on Aug. 2. I continued running to the second trimester with my daughter and then all the way to delivery with my son. But my returns to postpartum running about two weeks after each birth were slow. About six weeks after I started running again with Sam, I suffered a stress fracture and had to rest five weeks. Then I ran a couple months, got back up to speed and got Achilles tendonitis. Soon after, I was pregnant again. I am no novice runner, so it often surprises people that I have not done a marathon. The reason is simple: I am a running snob and a bit of a perfectionist. Although I think “running” can benefit anyone, I also think it is a sport, one that takes dedication, practice and talent. I want to make it 26.2 miles, but I want to do it like an athlete, not a recreational jogger. I want to qualify for the Boston Marathon. To do that, I need to run 3 hours and 40 minutes. And on Oct. 4, I will attempt to take that on in the Maine Peak Performance Marathon. Between the time commitment, physical stress and lack of sleep, I know this won’t be easy, but few things that matter ever are. I am not one to take the easy road and this particular stretch just happens to be 26.2 miles long. Please join me as I train, cry and run all on less than seven hours of sleep per night. Here we go. 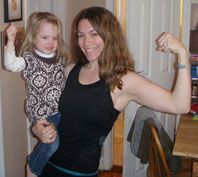 Sasha Brown-Worsham, a writer, a mother and an unabashed, unashamed runaholic. Join her each week as she blogs about her race to qualify for the Boston Marathon.